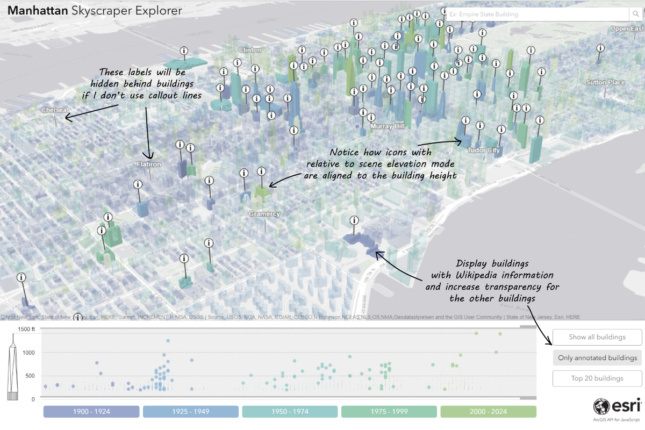 Publicly accessible data maps on New York’s buildings is nothing new, however, an easy-to-navigate three dimensional one is. 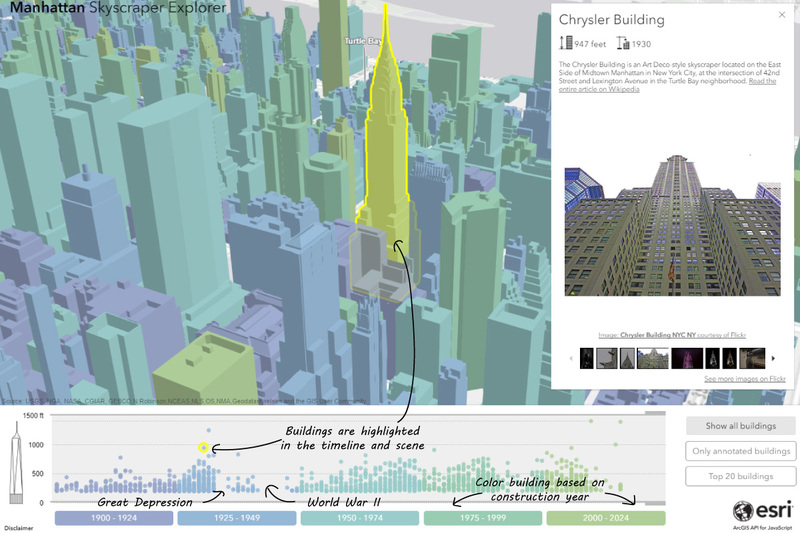 While Google Maps and others provide accurate visuals, the “Manhattan Skyscraper Explorer,” developed by Raluca Nicola, allows users to navigate with ease by sorting buildings into 25-year segments. 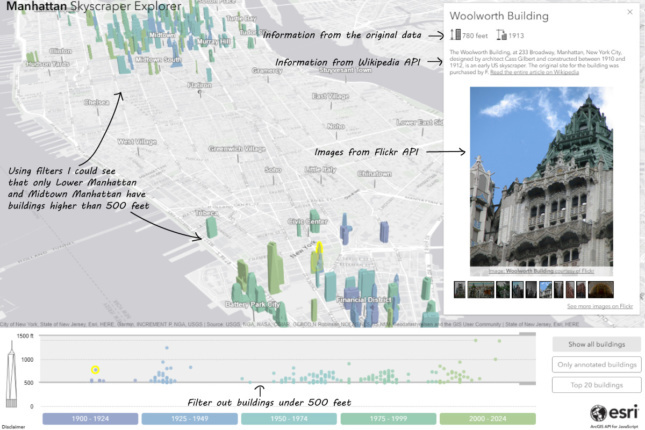 As a result, it is easy to see the buildings constructed between 1950 and 1975 with the click of a button. Inside the map, users can scroll to zoom in and out as well as pan by clicking and dragging. When selected, buildings come with images and a short synopsis. Wikipedia API (called MediaWiki) and the Flickr API were used to load images—famous buildings having their own wiki page helped with this. Furthermore, being color coded, spotting the era of a building is easy. Likewise, buildings over or under a certain height can be selected to further narrow scope. Searching directly for a building can also be done too. To find out more about how Nicola built the platform, read the blog post here. The map itself can be found here.